A prisoner Thursday morning allegedly called the emergency 911 number and threatened to kill the President, Director of Prisons, Gladwin Samuels said. 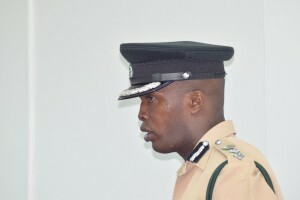 Wgen contacted, he confirmed to Demerara Waves Online News that police were questioning the inmate of the Lusignan Prison about the alleged threat that he made. “The prisoner is being questioned. The matter is being given the attention it needs so there is no delay in terms of having received the report and the SOP (Standard Operating Procedures) being kicked in for the necessary questioning to be done,” he saod. He allegedly told the 911 operator when he leaves the prison, he would kill the President. Sources said the prisoner named Alim Ally, who was convicted for assault, gave his name to the 911 operator in issuing the threat.